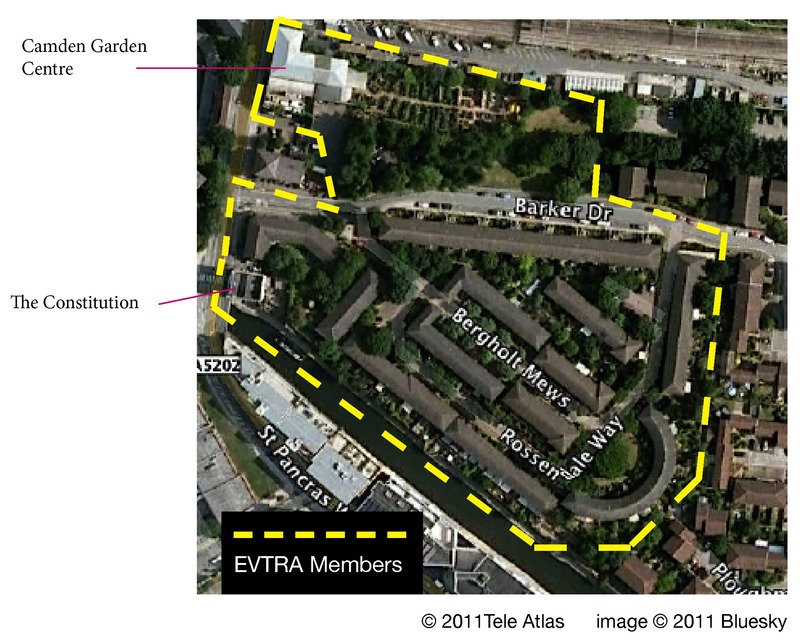 We represent the interests of residents in Elm Village in Camden, London, NW1, vis-à-vis Places for People (PfP), Camden Council and other relevant local organisations. Elm Village consists of 150 residential units managed by the housing association PfP in Barker Drive, Bergholt Mews, Blakeney Close and Rossendale Way. EVTRA is run by volunteers and is formally recognised by PfP as the body that represents residents who have some form of legal or commercial relationship with PfP. We hold an annual meeting, produce occasional newsletters which are distributed to members, keep residents informed by e-mail and the web, runs regular social events and a Neighbourhood Watch scheme. More than half the households are members. Membership is £3 per household per year.